The stealthy “Leo” by birth, Omar Davis a.k.a. 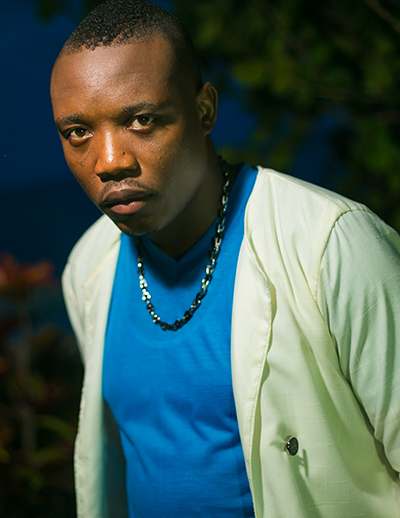 Cassidy was born July 27, 1983, in the beautiful parish of Portland Jamaica. Dubbed the Silent Assassin by his acquaintances for his cheekiness behind the innocent persona, Cassidy is a young man with big dreams, who stand for what he believes in and prides his passion for the visual arts. His father played the Saxophone & uncle the keyboard, and with this musical influence, he grew to love and appreciate music and the art therein. However, his calling wasn’t to be a musician but in the field of videography and photography, such that he formed the company ‘So Flyh Media Entertainment’ 7 years ago, and has since produced and directed music videos for Tanya Stephens. Currently a studio engineer at Stylz FM, Cassidy mans the evening train and keeps the listeners connected with the personalities live and direct. However, this was not enough for the quiet but ever curious Cassidy, as he grew eager to know music beyond his capacity as an engineer; he wanted to have a voice, and no longer the ‘Silent Assassin’. Listen to Cassidy on Wednesday’s when he lights up 5 to 9 pm with “The Evening Flare”.